Edwards, CH. 2012. 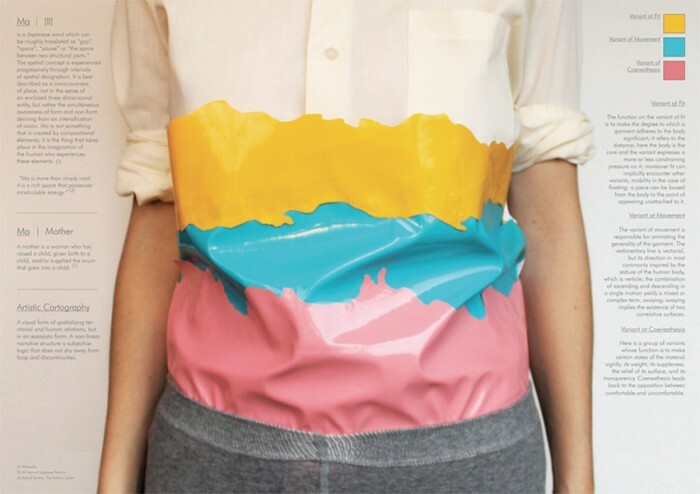 Lumbar Cartography, Plastic layers of fabric, cotton shirt, 40cm x 30cm. 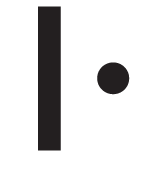 The Japanese word MA can be translated as "gap", "space", "pause" or "the space between two structural parts. The spatial concept is experienced progressively through intervals of spatial designation. MA is more than simply void: it is a rich space that possesses incalculable energy. - Years of Japanese Fashion. with Woman, Police Officer, Male Medical Student and Denim Sales Woman). The second part of this project challenged us to recall our earliest memory of our mothers’ fashion behavior.